Nissan Frontier Forum > Nissan Frontier Forums > 1st Gen Hangout > Anyone know how to fix the light in the heater controls ? Anyone know how to fix the light in the heater controls ? The light for the cabin recirculating air button isnt working and neither is the lighting thats supposed to light up the control knobs at night , i pulled the dash panel off to get to it and pulled out the plug to the button and used a voltage tester to the terminal in the plug , im getting power to the wire when i turn the lights on but just no light on the button , thanks ! I have the same issue and also did what you did. I was gonna pull another heater control out of one from the junk yard and see if that fixes the problem. Maybe some one on here might know a little more. 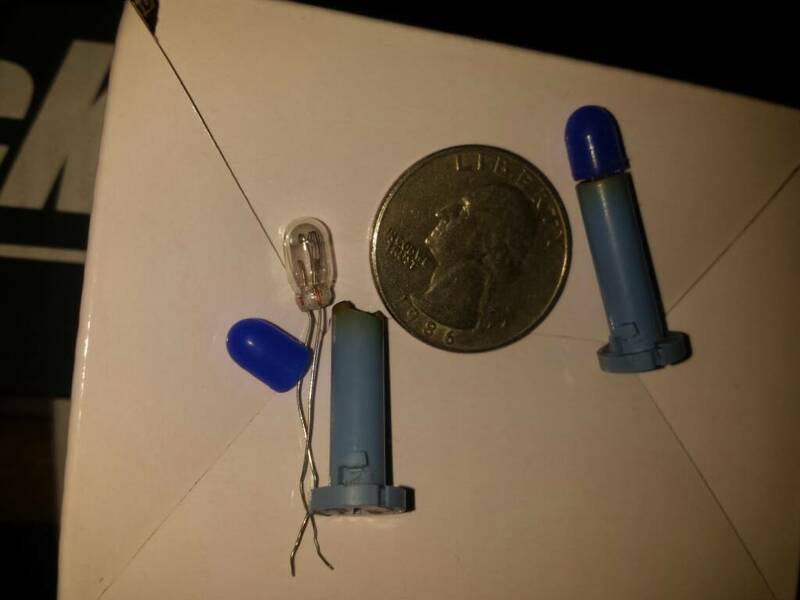 You would have to open the switch/button to find out what kind of bulb is inside. 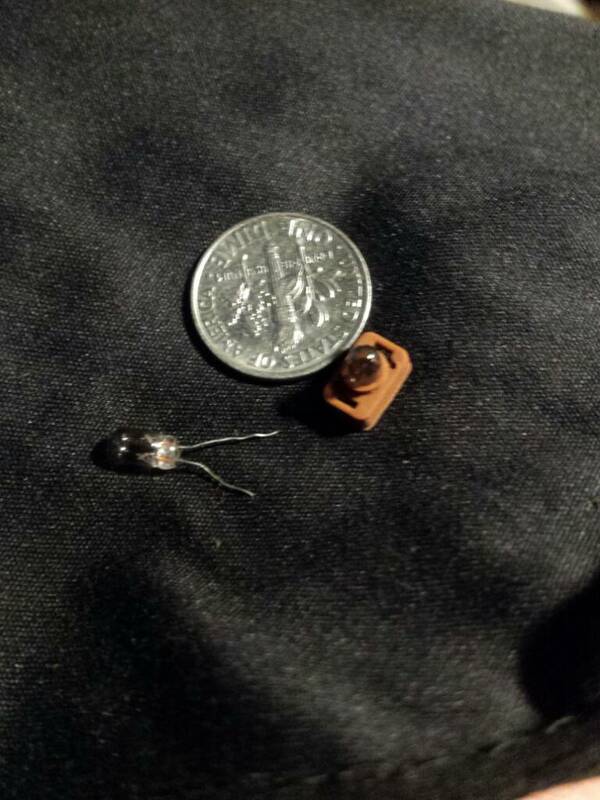 Possibly could be a T1 base 12v mini bulb. I remember seeing that kind of bulb. I didn't know you could buy those. I have the same problem in mine (although it is the A/C button, not the recirc button). Interested in seeing what the fix is! Hey thanks for the info !!! I`m glad to see that it`s not just me who has these kind of problems ,, lol !! Yeah , figureing out how to get the thing apart without tearing it to shreds is the next step , i`ll have to do a search for Graiden`s posts on this or PM him if i cant , Thanks !! Here's a pic of the HVAC panel bulbs from my 04. I don't know if the 2000 would use the same. I bought some 5mm led bulbs with built in resistor and put them on the long blue bulb holder to brighten mine up.